Lisa Skuret is a London-based artist and writer. 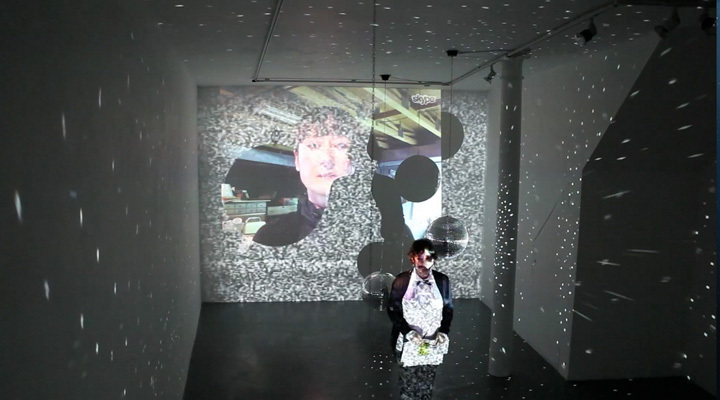 Her recent commissions and live works have taken place at MoMA PS1 (New York); Institute of Contemporary Arts (London); David Roberts Art Foundation (London); Spike Island, (Bristol); Parasol Unit (London); PEER Gallery (London); Museum of Work (Sweden); a Swedenborgian Church; and Regents Park in London. Skuret is currently working on project Communal Materials; Or, Evolution Isn’t Fast Enough, which is supported by an Arts Council England award. Work as part of this project includes A Call from the Library, a two-day live sound composition and performance installation generated by ‘listening to’ and ‘playing’ a former/future public library building on a housing estate in East London. Exploring micropolitical strategies within intersections of science, art and life practices, Skuret has an interdisciplinary practice incorporating forms such as text, performance, sound, installation and alternative pedagogy. Her central concerns are knowledge production and agency, and her practice combines methods, techniques and ideas from various disciplines though live and site-responsive work. Recent performances and installations draw on collective action and dynamics, and take the form of experiments in co-production of knowledge. Skuret often works with text, for example: scores, fiction and live writing.These texts are generated through site residency, performance or action research, and are published through various means including sculpture, live composition, performance, installation, and voice. In Skuret’s practice, ‘writing’ extends to include sound, voice and physical action, and her commissions include performative responses to architectural spaces, objects, concepts and institutions. Working with writing in an expanded sense, ‘fictions’ manifest in various forms and often involve live embodiment to create the work. Forms of knowledge that could be regarded as tangential or superseded are active agents in these fictions, which work towards opening up alternative ways of working and thinking together. Integral to Skuret’s research-practice are group work and transdisciplinary collaboration. She works both independently and collectively with interdisciplinary learning, alternative education projects and international art research groups. In 2010-12, she worked with Vision Forum (Linköpings University, Sweden) on a practice-led research project in London with six others (theorists, curators, artists, writers, and a medical doctor). In 2013-14, she was an Open School East associate artist. Skuret recently (2017), completed a clinical training in group dynamics and psychotherapy at the Institute of Group Analysis London. She is an associate member of Institute of Group Analysis (IGA), and Group-Analytic Society International (GASI). Lisa Skuret studied Contemporary Art Theory at Goldsmiths College London (AHRC Research Award 2007-08); Interaction Design Communication at University of the Arts London; and Psychology and Art History at Smith College (USA) and University College London. In parallel to her art practice, she contributes critical writing to international visual culture magazines.